A brand new play filled with pathos and heartfelt humour comes to ARC in Stockton on Wednesday 18th May, with another performance at Bishop Auckland Town Hall on Monday 23rd May. Centred on the character of Una, a strong Northern female character who has seen her fair share of tragedy, it’s a smart, sharp piece of theatre which could really impress. Directed by Bob Beagrie and performed by Jacqueline Phillips, the audience follows Una as she’s stuck at a bus stop in the rain during a panic attack. Her never ending wait for another bus, leads to her charting the demise of her street; reflecting on the degeneration of some of our Northern towns and the hardships she’s had in some of the most difficult times of her life, including being abandoned when pregnant, and then the later murder of her son Declan. 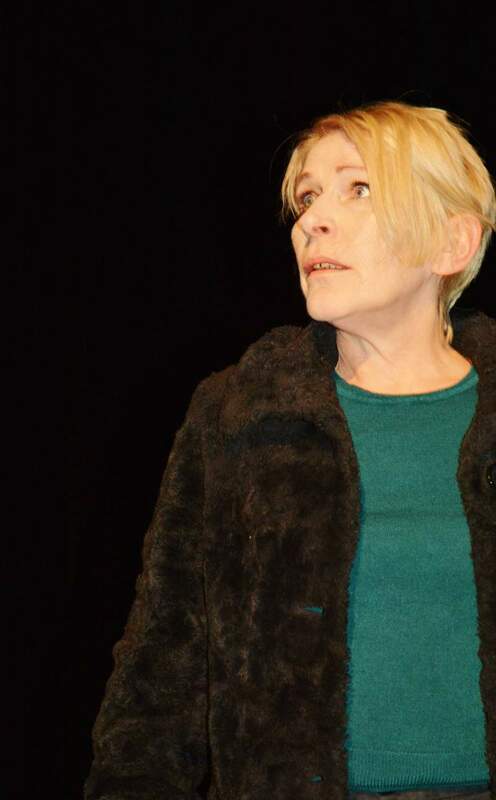 It’s a hugely dramatic piece that flits between light and dark, and is performed by experienced actress Jacqueline Phillips, who recently starred in the critically acclaimed one woman drama Butterfly by Vici Wreford-Sinnott, and who has who has previously appeared in Emmerdale and TV crime dramas George Gently and Vera. It’s all set to be theatre which leaves a lasting impression. Dust Of The Street’s Shining comes to ARC, Stockton on Wednesday 18th May and Bishop Auckland Town Hall on Monday 23rd May.